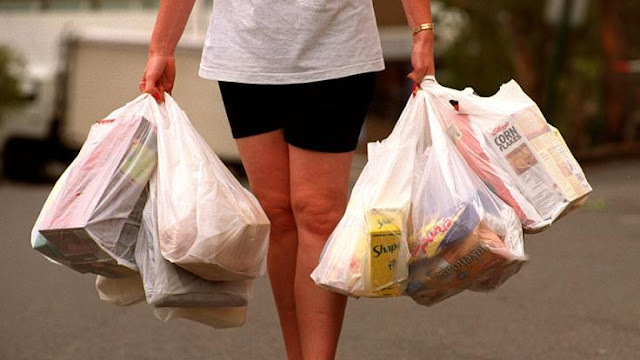 Heather Hancock, chair of the Food Standards Agency (FSA) here in the UK, has warned in an interview with The Telegraph that the relatively new law requiring that businesses with more than 250 employees charge a small fee of 5 pence for single-use carrier bags could be contributing to an increase in reported cases of food poisoning. The connection may not be obvious at first glance, but Ms Hancock asserts that customers’ reluctance to pay out extra for bags is meaning that raw meats are often packed right in alongside everything else, rather than being separated as they should. This, alongside the rise of self-service tills, at which customers are not offered an additional bag for meat as they would at a traditional till, is allowing the bacteria typically present on the outside of the packaging to transfer to other items, resulting in a surge in reports of food poisoning. In order to counteract this, the FSA wants customers purchasing raw chicken at supermarkets to be given a free disposable bag to separate the item from other foods, along with notices being placed at self-service checkouts reminding customers to use them when packing their own shopping. Ms Hancock says this is the “only way” that shoppers can prevent the spread of bacteria to other foods. After writing to supermarkets around six months ago to check their policy regarding the issuance of additional bags for raw meat, the FSA reported that - while Asda is planning to introduce warnings on bags for life to remind customers to pack raw meat and fish separately, and Morrisons recently began supplying red bags for meats to make them stand out - many branches of leading chains such as Asda, Sainsbury’s and Tesco do not make any such offer. Campylobacter, a form of bacteria predominantly found in raw chicken, is the most common cause of food poisoning in the UK with an estimated 280,000 cases reported annually. Worryingly, the FSA recently reported that half of the known strains of campylobacter are now resistant to even our most effective antibiotics, so there is a greater need than ever to prevent the spread of such bacteria to human hosts, lest it mark the beginning of a future epidemic. A spokesman for the British Retail Consortium told The Telegraph, "Our members are fully aware of the continued need to help their customers reduce cross contamination and, as they did prior to the introduction of the carrier bag charge, are taking a range of approaches to prevent contamination from uncooked meat based on what works for them and their customers." Meanwhile, Morrisons’ spokesman asserted, "Our policy is to supply a small bag or carrier bag specifically for raw meat, fish or poultry to separate from other items, and from a home shopping perspective we provide a separate bag for raw meat – this has recently been changed to a red bag to stand out from other items." Tesco have declined to comment on the matter.